A few weeks ago I visited the popular bookstore, Parnassus Books. Parnassus Books is one of the few independent bookstores in Nashville, Tennessee and according to their website they stock the best selections of literature, non-fiction, children’s, local interests, and the arts. Before I went and visited the bookstore, I asked a few people at lunch where our local bookstore was, I could have easily Googled it, but I was interested in seeing if others knew. The mass majority said Parnassus so my afternoon was decided for me. OFF TO PARNASSUS! I will be honest with you, I haven’t been inside a true bookstore in ages (don’t judge me!). As mentioned before, I am a digital only reader as I like to have my books with me at all time. But when I walked into the store, I was mesmerized by all the books! I was also mesmerized that the book store was dog friendly and there were cute dogs everywhere. I am a sucker for a cute dog! As I walked around I smiled at the author panel happening in the middle of the store and shocked that they had a book club that regularly met during the week. Where has this been all my life and why aren’t there more?! But it made me think….are bookstores dying? I did some digging and found an article that point blank said that bookstore owners are simple people who have a love for books and in this day in age no one wants to go all the way to the book store to find books when they are just a click away (geez harsh). The article continues and says with the age of fast access, people just don’t feel the need to have hard copy books at all but would rather have the digital version ( did they just call me out!?). This made me sad, I myself fall into the category of not visiting a bookstore but simply doing a quick download and calling it a day. It’s kind of scary because I question how bookstores can even remotely compete with the Amazon’s and Apple bookstores of the world and will probably all eventually shut down. However there is some hope, bookstores are definitely geared to a unique audience. They are for the audience that enjoys the written word and being in a safe space which includes researching and actually putting your hands on a book and taking it home to enjoy. It is for readers who actually want to meet the author and ask questions, and readers who just want a place to go and relax with fellow like-minded people. After my visit to Parnassus Books, I for one will be visiting bookstores more often and taking advantage of its relaxing feel and hopefully I can encourage many of you to do the same! Our shop-dogs and shop-people stand ready to greet you next time you pop in. We can’t wait to hear what you’re reading and see you again! Nothing can replace the smell of books, especially the old ones! Sometimes I always have a soft-bound book that I always carry in my bag. People might mock me for being an old school or probably a weird person. I am though. And I’m a bit proud covering my face with it in public places. I think that is awesome! I have a lot of friends that are the same way 🙂 Thanks for stopping by, happy reading! Where I live there is a Half Price Book Store that I love going to at least once a month. I like browsing the bookshelves and seeing what I can find. Same here! It is so relaxing! Happy reading! Thank you so much for taking the time to come by and sharing all your great resources, you have made my day! Look forward to seeing you soon! I’ve always wanted to go to Parnassus! It’s owned by Ann Patchett, one of my favorite authors! Oh I didn’t know that! That beyond cool! In my opinion, bookstores might be dying. 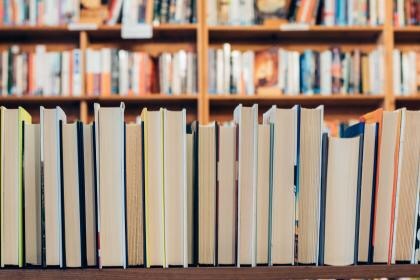 Especially with today’s generation, school books are even becoming obsolete in certain areas as most schools are switching over to ipads rather than physical books. As a lifetime book worm, I remember going to my local library as a kid and staying there to read for hours. The librarians knew my name and would even hold books to the side for me to read. (This is how you know you are a true bookworm). Libraries and book stories made me feel safe and comfortable back then. Now, with the convenience of downloading books on multiple platforms, it takes more effort for me to get in my car, go to a bookstore to find a book and then actually sit there and read. Its so much better to download a book in 30 secs and start my journey wherever I happen to be at the time. In addition, I like to read several books at a time, especially if I’m traveling. I am not the type of person who will seat and read just one book. I enjoy variety. Hauling physical books around all day reminds me of high school/college where I almost broke my back carrying tons of books around. I could’ve easily turned into the 5th Ninja Turtle, if I kept that up and I don’t miss those days. But, still I must admit, carrying my IPAD with me to a book store to read is just as relaxing as it used to be. 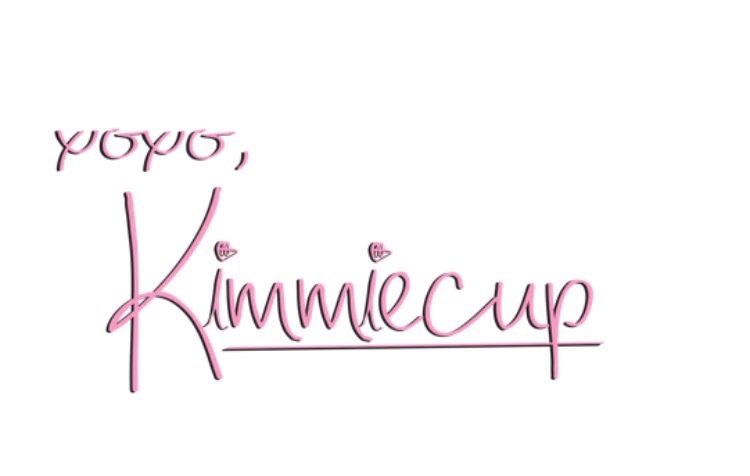 Great article, Kim! I completely disagree with that article! I was a digital e-book reader for a while and then went to back to buy physical books. Yes, it is convenient, but there is nothing like having a real book in your hands! I love it when I go to a house and find they have a collection of books. It makes me feel surrounded by intellectuals! No, bookstores are not dying. I agree with you! When I went to the bookstore there were a lot of ppl there! I hope that never changes. That’s for stopping by! I love bookstores. I prefer having hard copy of books, however, with two young kids, e-books are just easier and they don’t get destroyed. Also with an e-book I can read it while I’m on the go with my kids. But as they get older, we will be buying more hard copies. I agree! I definitely want hard copies for my future children! Thanks for coming by! I really hope not. I worry that libraries will start to close because of this digital world. I was saying t my husband before about if we should keep our daughters books for when we are grandparents (she is only 4 so a looong way off yet), but will there be actual physical books in say, 20 years? That’s a good question! I hope we are pleasantly surprised in the end! I love bookstores but haven’t been inside one in years. It’s just too easy to download a book. This really makes me a little sad. I agree it made me sad too and that’s why I’m trying to do better and visit (and buy) more. Thanks for stopping by! I have such a hard time finding bookstores where I live, especially ones that are good! I remember even 5 years ago it wasn’t that hard to find them and now I have to travel an hour to find one. We have quite a few cool little book stores here in Columbus Ohio, where I’m from! Thankfully! Because I love bookstores! Esp used book stores. You are very lucky! We have 3, in Nashville one in which I just found out about. They are so fun to spend Saturdays in! Thanks for stopping by! Sadly, I definitely think that it is dying. I sure hope not! 🙂 Thanks for stopping by! I’ll choose a physical book over a digital copy any day! It’s great that more people have access to books online but it doesn’t mean we should get rid of bookstores in the process. I love walking around the aisles and seeing all of the different genres come together. I’m also obsessed with the smell of books, which probably makes me really nerdy! Well then that makes me a nerd too but I love that smell too! I was telling another reader that maybe bookstores can merge digital and paperback together somehow so they don’t become extinct. Thanks for coming by and happy reading! This is an interesting article. Although I have read elsewhere that book stores are starting to see an increase in sales. Really! Do you mind sharing that article if you come across it again? I really hope it is true! I recently thought about this exact question while walking through the aisles of Barnes and Noble. I LOVE their displays and book collections. Sadly, I am a lady on a budget, and usually end up finding the book cheaper on Amazon. Even with my teacher discount, they still cannot beat Amazon’s prices. I agree, and lets not forgot about the library that allows free reading! I hope they can adapt to change and maybe offer digital options for readers as well? Truth is, I myself buy books online most of the time – simply because I like to read reviews first and then based on that decide. But I do need actual books, I’m old fashioned and hate digitals 😉 But from time to time I always find my way into a bookstore because I just loooove being around books and look for some inspiration – physically 🙂 So, I really hope bookstores won’t die! They are sanctuaries! I agree, they are sanctuaries!! I couldn’t imagine not having them around! I love bookstores so much; I hope they’re not dying! I can appreciate the portability of e-books, but there’s nothing like the physical thing. Amen to that sister! Thanks for stopping by! I found myself in a bookstore recently and had many of the same thoughts. I always love the feel and smell of a new book (sounds absolutely weird, but it’s definitely a “thing”). I’m also guilty of the digital downloads. Great post! We are all super guilty of digital downloads 🙂 But like you said, nothing is more special then that feel you get when walking around a bookstore! Happy reading! This podcast is great and super relevant, thanks for sharing!! I will definitely check it out! Unfortunately I do think bookstores are dying. I admit I use Amazon a lot but I hate to see neighborhood stores fading away. Guess I need to make a better effort to support. Any little bit helps! There are great resources there that even I forgot existed! Thanks for stopping by! Not if I have anything to do with it! Lol. I am definitely guilty of downloading but I usually am reading one book on my iPad and one hard copy of a book. There’s just something about turning a page that is so satisfying. I couldn’t imagine not going to a bookstore! Best way to browse. I think it is awesome you do both! Anything to keep bookstores alive! Thanks for stopping by! I love reading and I download billion of books. But every time I see a bookstore, I have to go in. Strolling through the books, touching them and meet with other bookworms it’s something that you can’t find on the internet. I really hope they aren’t dying. I read a lot of digital books and I love the convenience they offer. But I can’t stop stepping into a bookstore everytime I cross it, even if I don’t buy anything. I just love being in between those bookshelves and 100s of books. Would you believe I would skipped my lunch during my school days to hop into the library? Bookstores are wonderful! It’s an experience I hope we never loose! Wow, I have never thought about this before! I absolutely love bookstores, but never make time to go! Hopefully they don’t leave any time soon! Wow, I haven’t thought about this before! I absolutely love bookstores, but I never get the chance to go to them. Hopefully they don’t leave anytime soon! God, I hope they are not dying and if this is happening, it calls for a CPR! Reading is the new must have this season! Let’s wear it with grace!!! Yass to CPR! Lol thanks for stopping by! It was my pleasure! Where it is all about books, there I am! 🙂 Thank you again for sharing such a lovely article! I love bookstores! I truly do! But I too haven’t been in for a while, I think earlier this year I went to Barnes and Noble. I love to hold my books, but of late I’ve been buying digitial ONLY because 1) I’m working towards a minimalist lifestyle 2) we are moving out of state next year soooo I need to keep the clutter down. Buying books make me feel like a pack rat too lol that is the main reason I buy digital but the book store has soooo many resources I didn’t realize such as author visits etc. so I promised myself I would do better! Well that is awesome! Let me know when you launch your book and I will feature it on my blog!! I don’t think is going to happen, at least i wish that never ever happens. I love books and i buy a lot, sometimes from the internet. But nothing compares to a bookstore and the strolling through the books. It is the most relaxing thing for me! I love just roaming around and finding new reads! I hope you’re right and they never go away! Cute looking bookstore! I sure hope they don’t die, haha! I am one of those that loves going into a bokostore, browsing through books, and having a hard copy to page through. I love reading blogs online, but just haven’t been able to get into online book reading. I can browse through a bookstore all day! And you should definitely look into my previous post of practical ways to find time to read! Consider audiobooks if online reading isn’t your thing! Thanks for stopping by! Amazon is VERY convenient but I agree the ambience of a bookstore is something I hope we never lose! Thanks for stopping by! I too haven’t been in a bookstore for ages! There used to be lots when I was little… But there are a few around where I live, so hopefully they’re not dying out completely! Same here! It was something my parents took me to all the time! I hope people are still going as well so we won’t have to worry about them closing lol thanks for stopping by! I love local bookstores and not knowing what you’ll find. A local closed by me a couple years ago and I was upset. I would go in there once in awhile. I found old SVH books that I needed for really cheap. It was awesome! Hopefully there is another store in your city you can visit, they are very special! Happy reading! WOW!!! 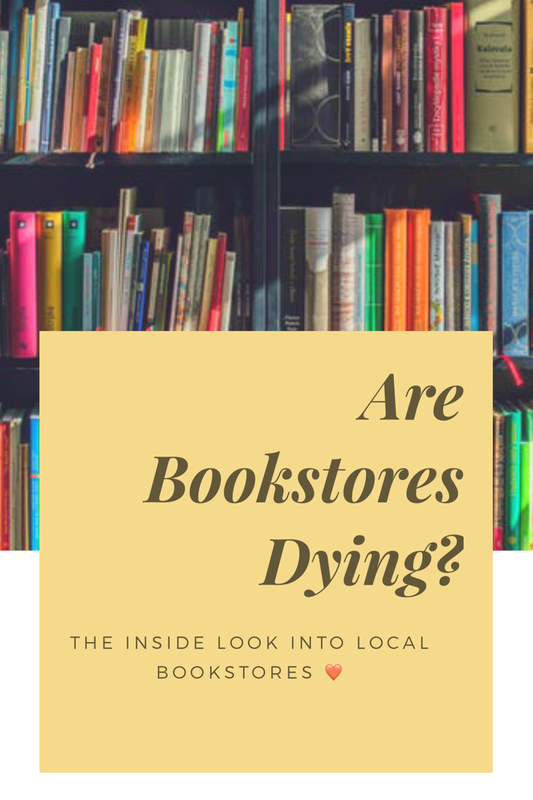 Very interesting topic for sure, I am one of those who have to have the hard copy in hand to enjoy, but I do believe bookstores are dying unfortunately. “One-click away” is becoming a lot more appealing then traffic, parking, and more traffic lol. I will be visiting Parnassus Books!!! I will let them know Kim sent me!!!! When I worked in a bookstore (one of the big chain stores, not a small independent one, although I would have LOVED to! ), we had a ton of people coming in, letting us help them find a book, and then they’d take a picture of the ISBN so they could go buy it on Amazon later. It infuriated me. But then I realized, I do the same thing sometimes. I’ll check out a book in the store, take a picture of the cover, buy a few of them, then go online and buy the cheaper ones there. I want to support independent bookstores more (like I want to support comic shops and game shops and all that), but there’s just nothing around my city any more. I’d have to travel an hour or more away to find them, and with my limited resources, that’s just not possible.